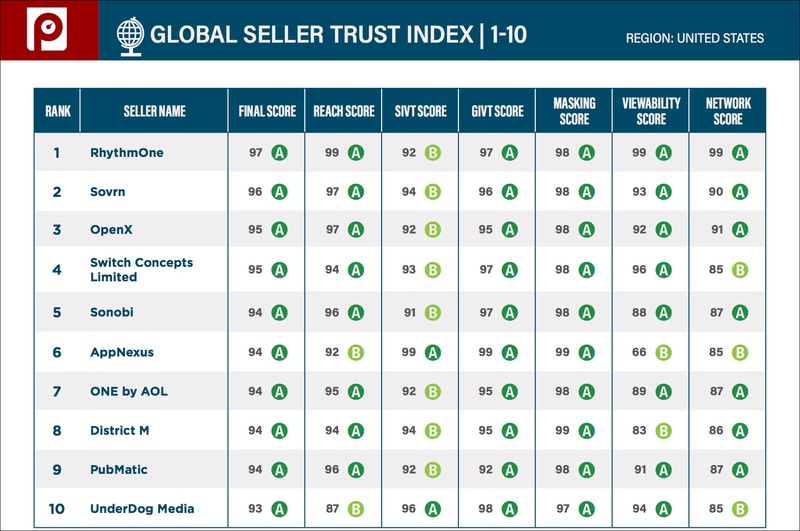 Pixalate, Inc., the global leader in fraud protection and data intelligence, today released the May 2017 rankings in the Global Seller Trust (GSTI), Mobile Seller Trust (MSTI), and Video Seller Trust (VSTI) Indexes. GSTI highlights: RhythmOne captured the top spot for U.S. inventory in May, while Sovrn and OpenX rounded out the top three. ONE by AOL rose three spots to the No. 7 position, and District M jumped four spots to No. 8. In the International GSTI, Google AdExchange climbed to No. 1, while OpenX jumped two spots to No. 3. MSTI highlights: AdColony earned the top spot in May. ONE by AOL — the previous No. 1 — only fell one spot to No. 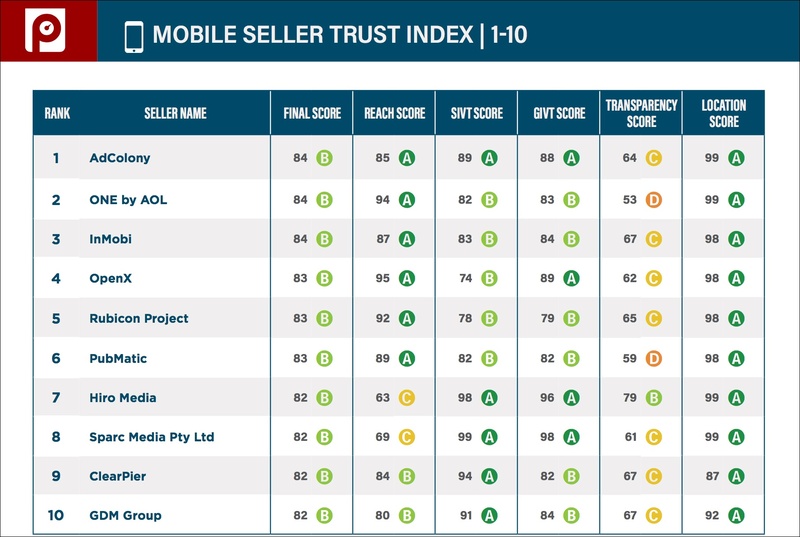 2, and InMobi remained the No. 3 seller of mobile programmatic in-app inventory. OpenX and Rubicon Project completed the top five, while PubMatic rose three spots to No. 6. ClearPier jumped 10 spots and cracked the top 10 (at No. 9). VSTI highlights: In the U.S., Centro Brand Exchange rose two spots to claim the No. 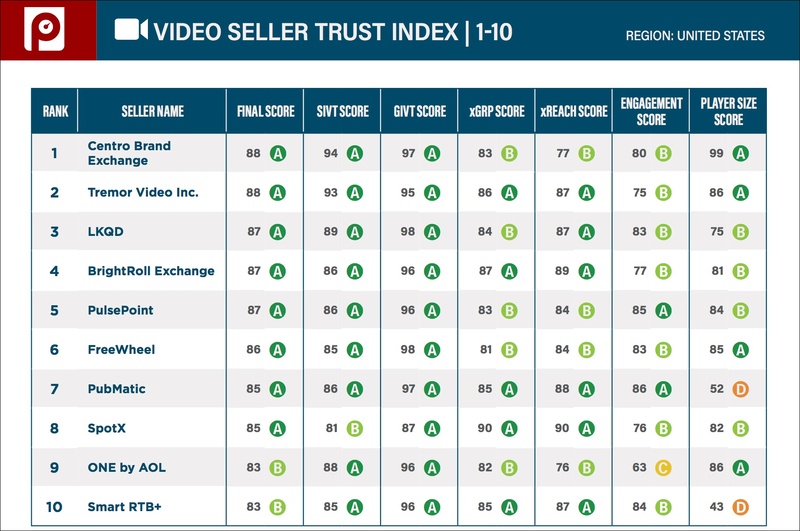 1 spot for programmatic video inventory. Tremor Video was No. 2, and LKQD was No. 3. In the International VSTI, Google AdExchange remained the No. 1 seller, while Teads and SpotX each increased by one position to rank No. 2 and No. 3, respectively. Utilizing proprietary technology, the GSTI, MSTI, and VSTI each analyze more than 200 data points for over 100 billion monthly ad impressions and deliver ratings based upon inventory quality and ad performance, along with traditional reach and share of audience metrics.